图17-9　Post-transcriptional modification of mRNa showing the7-methylguanosine cap and poly-A tail. 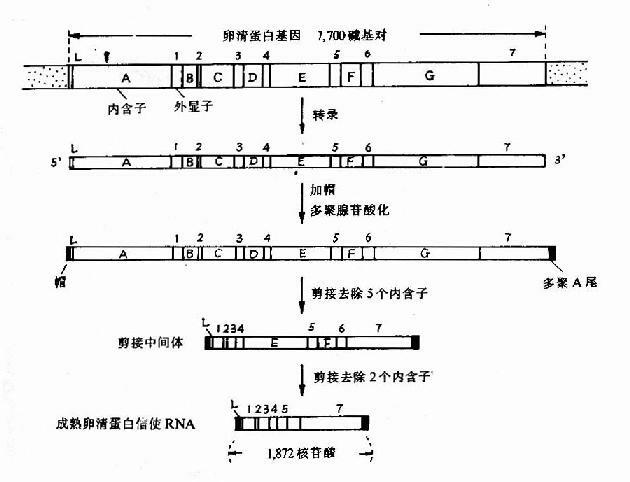 图17-10　Primary polymerase 11transcript of a eukaryote gene showing(a)introns after capping and addition of polyA tail. 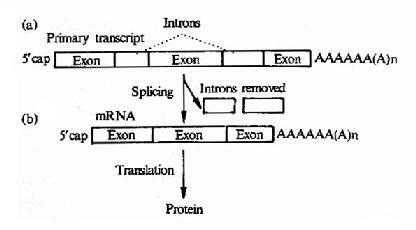 (b)Excision of introns toform the mature mRNA is called splicing. 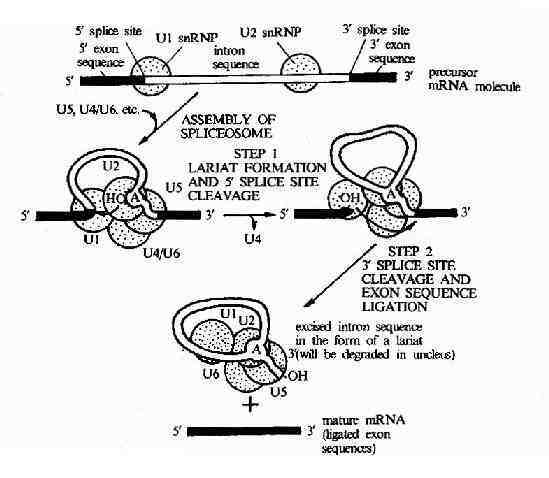 图17-12　The RNA splicing mechanism.RNA splicing is catalyzed by aspliceosome formed from the assembly of U1,U2,U5,and sn RNPs(shown as greencircles )plus other components (not shown).After assembly of the spliceosome,the reaction occures in two speps:in step 1the branch-point A nucleotide inthe intron sequence,which is located colse to the 3'splice site ,attacks the5'splice site and cleaves it;the cut 5'end of the intron sequence therebybecomes covalently linked to this A nucleotide,forming the branched nucleotideshown in Figure 8-55.In step 2 the 3'-OH end of the first exon sequence,whichwas created in the first step,adds to the beginning of the second exonsequence,cleqving the RNA molecule at the 3'splice site;the two exon sequencesare thereby joined to each other and the intron sequence is released ad aribosone.These splicing reactions occur im the nucleus and gengerate mRNamolecules from primary RNA transcripts (mRNA precursor molecules). 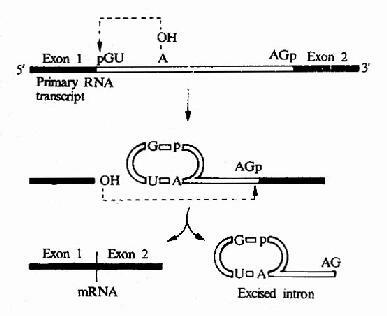 图17-13　Mechanim of mRNa splicing.Note that,for clarity,the process is shownin two stages;energy is not required for the process since transesterificationreactions are involved.